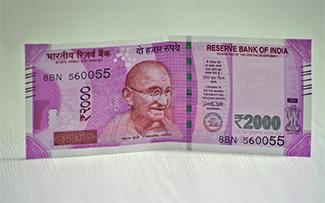 It has been a little under two weeks since Prime Minister Narendra Modi declared that Rs 500 and Rs 1,000 notes will no longer be legal tender. Although it is still early days, the impact of the move to squeeze 86% of India’s currency in circulation is beginning to take effect. While the sudden move has hit large sections of the economy hard, at least for now, it is also proving to be a blessing in disguise for several others. Here’s a comprehensive look at who gains and who loses because of this war on black money and counterfeit currency. Banking: This is, well, obvious, considering the large amount of cash infusion banks are getting, with people queuing up to deposit and exchange their old notes. Reported estimates say that in the first five days following Modi’s announcement, Rs 4 trillion was deposited in banks. With more than 40 days to go before the window for deposits ends, the government expects that more than Rs 10 trillion will be deposited with banks. This, say bankers like State Bank of India chief Arundhati Bhattacharya, will drive down lending rates. In fact, there is growing expectation that in its bi-monthly monetary policy in December, the Reserve Bank of India (RBI) could reduce the benchmark repo rate by anywhere from 25 to 50 basis points (bps). In its last review in October, the RBI had cut the rate by 25 bps. Debt-laden banks have been tardy in the past about fully transmitting the central bank’s interest rate cuts to borrowers, but this could change now that they are flush with cash. Having said that, the impending cash crunch could dry up demand and hence credit offtake across several cash-dependent sectors. This could force banks to offer sweeter deals. Already, reports say that banks are offering auto loans on a zero down-payment basis. Mobile wallets: Perhaps the biggest beneficiary of Modi’s decision to pull out old currency from the system have been mobile wallet players like Paytm, FreeCharge and MobiKwik. Several news reports have said that payment wallets have been cashing in on the aftermath of the government’s move. A report in the Hindustan Times newspaper said that following the announcement, Paytm had seen a 700% increase in its traffic and that the app had crossed 50 million downloads. Equity markets: While the impact on equity inflows is hard to quantify, it is safe to assume that a significant portion of the white money that might have gone into the real estate sector, will flow into equities. This should see an uptick in the stock markets in the long term. Moreover, long-term capital gains on equities and mutual funds, if held for more than a year, are tax free. In the short term, however, the markets might feel a little pain as demand skids and earnings suffer. Already, the benchmark BSE Sensex has slid 6.6% since 8 November. Gyms and spas: Several news reports say that gyms and spas have been offering people memberships for the long term in lieu of old currency notes. Clearly, this is one sector that should be happy about demonetisation, at least till the end of December, when the window to deposit old notes ends. Discoms and utilities: The government has allowed people to use their old currency notes to pay their outstanding utility bills. Several news reports from across the country indicate that people have been paying their utility bills in advance and clearing old outstanding ones, in some cases worth several lakh rupees. This should bring some much-needed respite for debt-laden discoms, although it is unlikely to help cut their burgeoning debt by much. Chartered Accountants (CAs), financial and wealth advisers and tax experts: People with unaccounted wealth have reportedly been thronging to CAs and tax experts to, well, launder their money. Several TV sting operations have highlighted this. The government has said it is aware of such reports and will monitor these unscrupulous professionals. But that will be easier said than done, and thousands of CAs will succeed in making a fast buck. Going forward, more people with investable incomes could seek the services of such professionals to manage their wealth in ways that could minimise their tax burden, even while remaining on the right side of the law. ‘Hawala’ traders: The note ban has brought the illegal practice of ‘hawala’ or transferring money across cities or countries via agents, using off-book methods virtually to a halt, at least for now. Having said that, the actual networks have not gone away, and the moment a significant amount of cash re-enters the system, such networks could become active again, unless enforcement agencies can clinically crack down on them. Agriculture: The entire agricultural economy runs on cash, and the poor farmer might become the worst casualty in this drive to rid the country of black money. Not only are farmers likely to find it hard to pay off their debts, they will also not get any further credit for procuring seeds and other inputs for the next sowing season. News reports say that the lack of liquidity has meant that farmers have not been able to hire labour to harvest standing crop. This situation is exacerbated by the fact that labourers are reportedly being used as ‘mules’ to exchange old notes for new, by black money hoarders. Moreover, India’s rural economy is completely dependent on cash, and has come to a virtual standstill since the 8 November announcement. FMCG: A direct impact of the slowdown in the rural economy could be felt by the fast-moving consumer goods (FMCG) sector. Rural demand is directly linked to the fortunes of farmers, whose economy is totally dependent on cash. The current quarter is, therefore, likely to see a decline in rural demand, although it is too early to say by how much. E-commerce: Immediately following Modi’s announcement, several leading e-commerce sites like Amazon, Flipkart and Snapdeal either suspended the cash on delivery option or limited it to specific thresholds. Some e-commerce companies are also offering their customers the option of swiping their credit or debit cards on delivery to pay for their purchases. Ola, which rivals cab aggregator Uber, is also offering its customers the option of post-paid rides,using their credit cards. Microfinance: The microfinance industry has been doubly hit. Not only have microfinance institutions (MFIs) stopped providing credit to their consumers, but loan repayments also have dried up. India has as many as 60,000 MFIs, which collectively have more than 2.5 crore customers, according to a 17 November report in The Indian Express, citing Bandhan Bank chairman and managing director Chandrashekhar Ghosh. Unless the system gets an adequate infusion of cash in the next few weeks, the MFI sector could see defaults rising. Gold and jewellery: Although in the immediate aftermath of the 8 November announcement, gold prices had shot up, they have since stabilised. News reports say that in the black market, gold merchants are selling the precious metal at more than twice the rate, in exchange for old notes. But the government has said that it is aware of this, and is cracking down with tax raids on jewellers across the country. The move also effectively closes all informal channels that jewellers used to move large amounts of cash using their own ‘hawala’ networks. Moreover, jewellers will be required to produce details of any cash transactions. In the long run though, with cash being sucked out of the system, sales will take a hit, as most jewellery purchases are done using cash. Real estate: The real estate sector, especially the secondary market, has virtually come to a standstill. Black money has been to the Indian real estate sector, what foreign institutional investors have been to the stock markets. Much of the boom in the real estate sector has been due to the proliferation of black money, which accounts for anywhere from 30% to 40% of the secondary market. With black money being sucked out of the system, real estate prices, especially in bigger cities, should see a correction of at least 30%. The market has effectively moved from being a seller’s market to a buyer’s market. On the positive side, rental yields will see an uptick. Rental yields, which were in the range of 1-3%, could effectively go up to 3-5%. Small and medium enterprises (SMEs): The entire SME sector in the country is heavily dependent on cash, and has seen a sharp decline in business over the past week. If business does not pick up, this could accentuate the problem of non-performing assets, which banks are already grappling with. Non-banking finance companies (NBFCs): The NBFC sector is likely to take a hit primarily as a knock-on effect from the SME sector, to which these companies typically lend. In fact, just last month, VCCircle had noted in report how NBFCs were outgrowing banks at a time when the latter had tightened their purse strings. Demonetisation could be a dampener, even if for the short term. 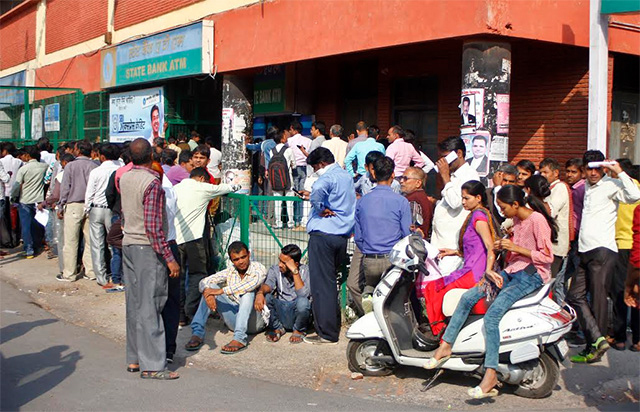 Co-operative banks: Demonetisation has thrown the co-operative banking sector, which caters primarily to the poor in the country, into a complete mess. India has as many as 32 state co-operative banks, 370 district central co-operative banks and more than 93,000 primary agricultural credit societies, which held more than Rs 3.2 trillion in deposits as of 2014. The central bank has banned co-operative banks from accepting deposits in the demonetised Rs 500 and Rs 1,000 currency notes, as it is thought that they were making back-dated fixed deposits in a bid to help depositors launder money. They can do so as they are still not digitised and use physical ledgers to record transactions. Only urban co-operative banks and scheduled commercial banks have been allowed to accept such deposits, but the former claim that the RBI is not providing them adequate currency support to carry out their operations. Tea and jute industries: Demonetisation has meant that lakhs of jute and tea labourers across states like West Bengal and Assam have been left unpaid. Tea and jute workers across the north-eastern region are typically hired on a daily wage basis and are paid almost entirely in cash. Although the RBI has made some allowances for payments to plantation workers, news reports say that this has not helped much on the ground yet. Aviation, travel and hospitality, and entertainment: In the coming quarters, most discretionary spending is likely to take a hit. On top of this will perhaps be aviation and travel. Entertainment too seems to have taken a hit, with cinema halls registering lower footfalls since the currency ban. The hit on these sectors could be exacerbated by the fact that even after the effects of the initial shock have withered away, a slowing down of the economy could continue to hamper these sectors, forcing them to offer freebies and cutting back on margins. White goods and auto: A significant number of white goods purchases were in cash, and although no credible data is available, reports say that malls and shops selling consumer durables have seen fewer footfalls. The auto sector could also see a fall in demand, at least in the interim.